Anxiety has long been considered a hindrance to both language learning and performance. To address this issue in oral language testing, it has been suggested that the use of Information & Communication Technologies (ICT) to distance the test-taker from the interviewer could reduce anxiety levels and, thus, improve performance. Research has been undertaken on the use of synchronous and asynchronous text chat to lower anxiety and increase communication. However, research on the use of videoconferencing is largely unknown in the same areas. Thus, this study undertakes the challenge by comparing forty students’ anxiety levels when they took an oral test face-to-face and via an online videoconferencing medium. The students were from a private, mid-sized, Korean university, and they were interviewed and rated by two interviewers under both face-to-face and video conference conditions, as well as surveyed for state anxiety. The findings in this study will be used to guide the design of future distance assessment instruments as well as inform educational research in this field. Videoconferencing began long ago (Andberg, 2008), but only now are we seeing signs of real growth in its use (Edigo, 1988). While costs have consistently gone down, technologies have improved. High speed data transmission has become more affordable and widely available, and improvements in compression technologies have provided higher-quality audio and video at lower bit rates. Korea, with over 95% broadband penetration is consistently at or near the top of international Internet access and speed surveys (“South Korea tops in broadband penetration: Study,” 2009, June 18). Computers and cameras have also improved while coming down in price. Inexpensive laptop computers equipped with integrated webcams capable of videoconferencing out the box can be found for a few hundred dollars, not to mention a new generation of mobile phones equipped with videoconferencing capabilities. Lastly, low-cost and free services, such as Skype, MSN Messenger, and Google Talk, have provided the software necessary for one-on-one desktop videoconferencing, while others, such as Adobe Connect Pro™ and Elluminate (Karabulut & Correia, 2008), provide more robust multipoint videoconferencing solutions for organizations. The lowering of technical and price barriers in videoconferencing technology has led language educators and learners to begin to take advantage of the great potential of desktop videoconferencing. A number of businesses ranging from language learning-based social networks (e.g., LiveMocha and italki) to tutoring businesses (e.g., PhraseBase and eduFire) have been built around this technology. With the growing interest in teaching and learning online using videoconferencing technologies, there is also a growing interest in assessing learner performance in these spaces. The use of videoconferencing for interviewing in a foreign language context is often difficult and expensive given a lack of access to qualified interviewers and raters. Videoconferencing allows testers to connect interviewers and interviewees any place in the world for an interview experience. However, while cost and convenience may be alluring, care must be exercised when utilizing new technologies, especially when used for testing. 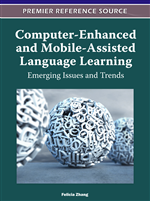 Language testing in online environments is a new and exciting area of research. Issues of test validity when moving from a face-to-face to Internet-based test environments are essential to evaluate. This is particularly true when testing oral communication via videoconferencing technologies. Testers must establish that a test is measuring that which it intends to measure rather than extraneous variables. Practical, technical, and affective factors can each make for a difficult transition to this mode. Of particular interest are both the effect on and role of affective variables in videoconferenced language testing. Anxiety is one of these affective variables shown to play a role in language learning and test performance, and it is of a particular concern with English language learners in Korea, where this study took place. A central question is whether the role of anxiety differs when conducting interviews in these two mediums. The intent of this study was to investigate the relationship between mode, face-to-face or videoconferenced, and anxiety and the relationship between anxiety and performance on oral interviews with Korean learners of English in Korea. This chapter will begin with a focus on the roles of videoconferencing anxiety on performance. Then a detailed description of the development and implementation of an online interview test will be provided. A discussion of the results and implications for language instruction and testing will then be presented.